The healthcare industry in the United States is dominated by the culture of conventional Western medicine. And health insurance caters to those who control the industry: medical doctors and hospitals. There is a long history of prejudice against chiropractic by medical doctors, which is one reason that chiropractic care is not often covered by health insurance. Many research studies have shown that chiropractic care is beneficial and that it is more cost effective in the treatment of low back pain and other common musculoskeletal conditions than traditional Western medicine is. Chiropractic also lowers health care costs by focusing on prevention, was well as on treatment. It is surprising that health insurers choose not to cover treatment that is as beneficial and cost effective as chiropractic care is. Studies have continually shown that individuals who seek the care of a chiropractor on a regular basis are healthier and, generally, spend less on health care than those who do not. What is not surprising is that consumers are wise enough to see the advantages of chiropractic care. Many people prefer to see a chiropractor simply because they see tangible benefits from the care they receive. Many others are disillusioned with traditional Western medicine and the healthcare system, and they look for alternatives such as chiropractic care. It is clear, both from patient testimonies and from clinical research that consumers benefit from chiropractic care. Unfortunately, they may have difficulty affording chiropractic care because it's often excluded from healthcare insurance policies. Health Savings Accounts can help consumers afford chiropractic care, even when it is excluded from their health insurance policy. They can pay for chiropractic care and other alternative medicine with pre-tax dollars by using a Health Savings Account. Many chiropractors keep their costs as low as possible in order to make chiropractic care more available to consumers. They can, however, only absorb so much of the cost of providing that care. Another way chiropractors can help clients gain access to chiropractic care is to encourage the use of Health Savings Accounts. The combination of a Health Savings Account and a High Deductible Health Insurance plan is supposed to encourage individuals to become thoughtful, wise consumers of health care. The individual is spending more of his or her own dollars on healthcare, so she will be more concerned about how those dollars are spent. Health Savings Accounts give consumers more choice in how their healthcare dollars are spent. Money in the HSA must be spent on approved medical expenses, but there are really very few restrictions on what kind of healthcare you choose. 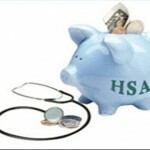 More and more chiropractic patients are discovering that having an HSA is saving them money on their medical expenses. Traditional health insurance has gatekeepers and controls. Even when chiropractic care is covered (not typical on individual plans), the individual requesting chiropractic care may be required to go see their family physician (or gatekeeper) and get a referral. Not all medical doctors will refer to chiropractors. If chiropractic care is covered on the health insurance plan, and if you can get a referral (which amounts to permission to see the chiropractor), there may be limits to the number and types of treatments you can receive. Using a Health Savings Account to pay for chiropractic care gives you, the consumer, more choice. You can choose what type of medical treatment to get, where you will get that treatment, and how many treatments you will get. You can spend HSA dollars on preventive care as well, and actually have the government give you a tax deduction for keeping your family well. Be sure to visit our newsletter periodically, as we will make changes monthly. And if you see something you feel a friend or family member would enjoy, please be sure to pass it on or sign them up! Remember, it's FREE! It is our desire to help our patients understand how all parts of our lifestyle affect our health. Our goal is to educate each of our patients on the many facets of better health, naturally.